Andrew Bosworth, vp of ads and pages for Facebook. 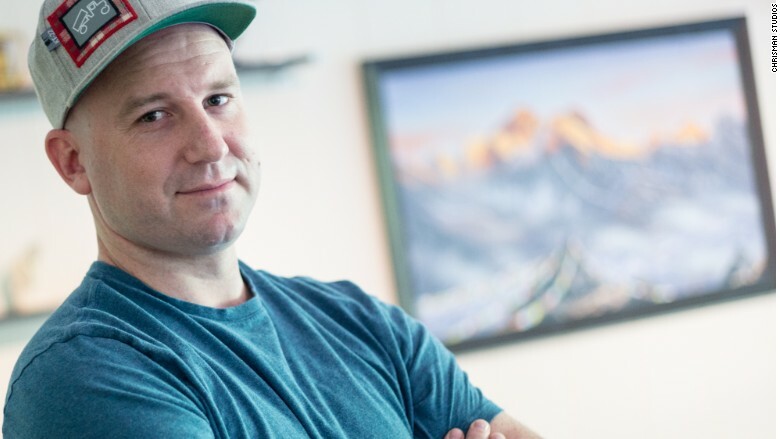 Andrew Bosworth, "Boz" to many, is the brains behind Facebook's News Feed. He's a passionate technologist for whom the stars aligned when he was a student at Harvard: Bosworth was a teaching assistant in an artificial intelligence class and Mark Zuckerberg was one of his students. Two years after graduating, the computer science major joined his former pupil at Facebook (FB). He's currently Facebook's VP of advertising and pages. But when Bosworth, now 34, tells the story of his success, he reaches back into his childhood. Prominent in his narrative is 4-H, a youth program that Bosworth participated in from the ages of 9 to 19. Bosworth, 10, demonstrating a science project at a 4-H club meeting. "My family's been farming from way back," said Bosworth, who grew up in Santa Clara County, California. 4-H, which dates back to the early 1900s, is traditionally known for its roots in agriculture and animal husbandry. Bosworth embraced all of it. "I was into cooking projects and I raised sheep, pigs, rabbits, guinea pigs," said Bosworth. "I wore my 4-H uniform and would show my animals at the country fair." The program was instrumental to him in other ways, too. "It was a 4-H mentor who first taught me how to program a computer when I was 10 or 11," he said. 4-H has a deep bench of luminaries. It includes NASA astronaut Peggy Whitson, who is scheduled to go to the International Space Station later this year; Harvard president Drew Faust; and singer Jennifer Nettles. "Every county in America has a 4-H program," said Jennifer Sirangelo, president of the National 4-H Council. 4-H offers hundreds of classes -- everything from yoga and cooking to public speaking and environmental science. Now, 4-H is rebranding itself with a focus on STEM (science, technology, engineering and math) through classes like robotics and rocketry. Students in a 4-H STEM program. The objective is twofold: break out of its traditionally rural mold and increase its membership, especially among urban youth. "We no longer want to be the best kept secret in America. We're striving to reach 10 million youth by 2025, a nearly 67% increase," Sirangelo said, adding that much of the growth "will be fueled by STEM programming." 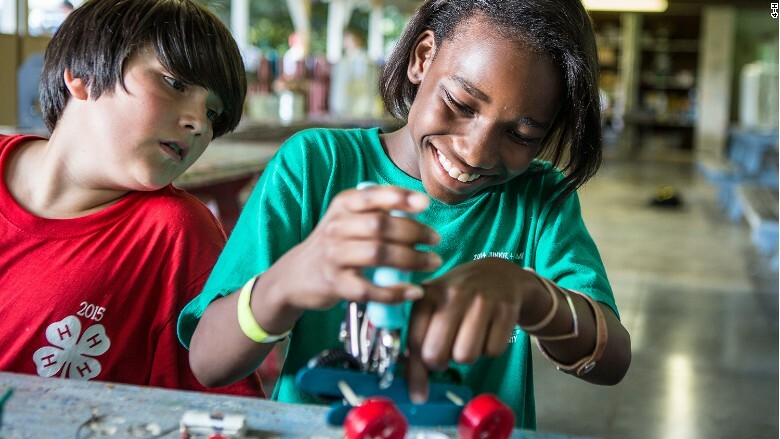 Bosworth believes that 4-H is an important vehicle for exposing more kids to STEM. "I was lucky to grow up in Silicon Valley. And my parents recognized the value of computers early on," he said, adding that he had an Apple IIE at home as a kid. 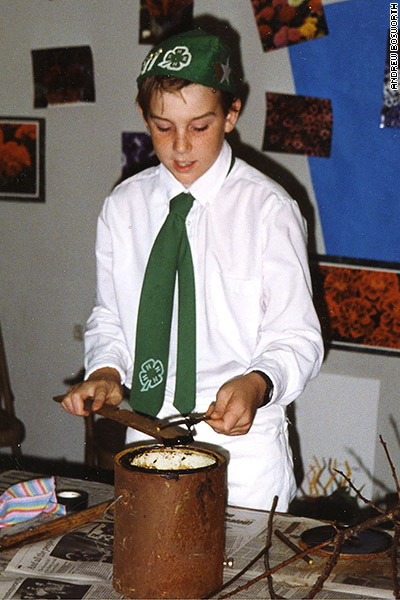 "But I know of dozens who were with me in 4-H, who had to drive 45 minutes to have access to any kind of technology." 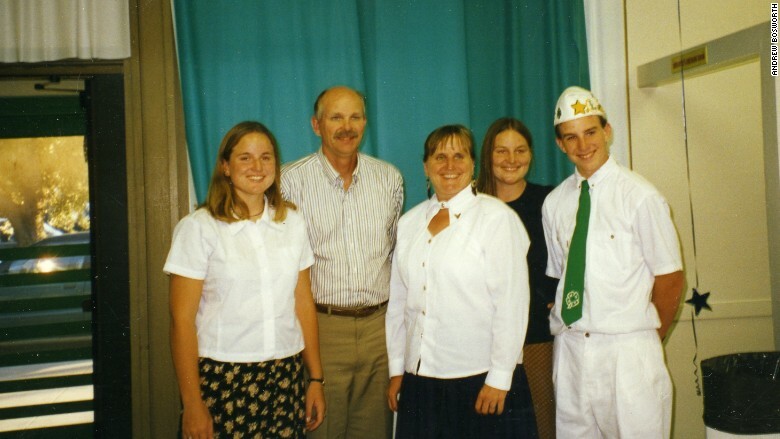 Bosworth [far right] with his family after winning the 4-H All Star award in 1997. And while he says programs like 4-H and Code.org are working to narrow the accessibility gap, "we're behind where we need to be." He blames that on the current approach to teaching STEM. "It's staggering that we've managed to make it so unexciting and so unappealing," said Bosworth. "You can't tell a 12 year old, 'Hey, this is really important to your future job growth,' and have them get super pumped about it." 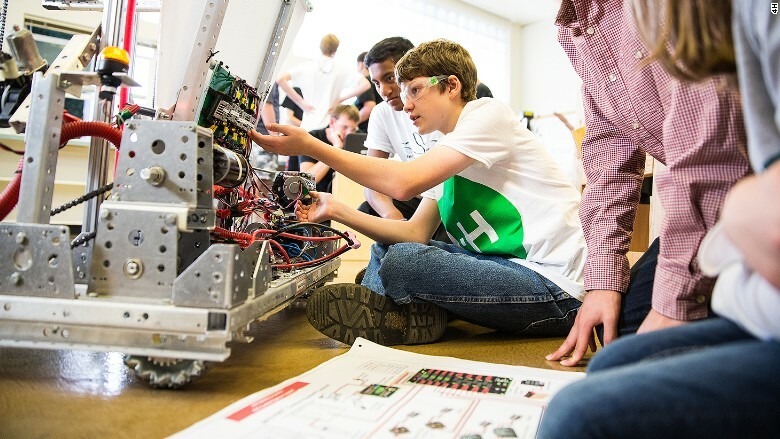 STEM education should take a more hands-on approach that facilitates social interaction, too, said Bosworth, who was a founding member of 4-H's technology program. "If you look back to my experience with 4-H, what was great was that you were doing an activity and building a social skill," said Bosworth. "It was fun. You were doing it with your friends, and you were doing it as part of the community." 4-H members enjoying a STEM project. Those "soft skills" gave him an advantage at Facebook. "There was such tremendous advantage to having worked in teams at 4-H," he said. "It gave me the confidence to approach a new subject and the confidence to take on bigger community-oriented goals." 4-H was a family affair for Bosworth. His mother Vicky and both his sisters were also 4-H members. And Vicky is still very active with the California 4-H organization. Bosworth, too, has stayed connected to his 4-H roots. "I go to the Santa Clara country fair every year," he said. "4-H kids raise animals and bring them to the fair. I buy a pig every year. I've bought a cow and split it with my coworkers." He hopes to be more involved when his 16-month-old son is older. "Right now, he's working on walking. He's not quite into STEM yet," he said.